“Harry Potter” font, which you can get as a (safe) free download here. The Hogwarts crest, which you can easily Google. 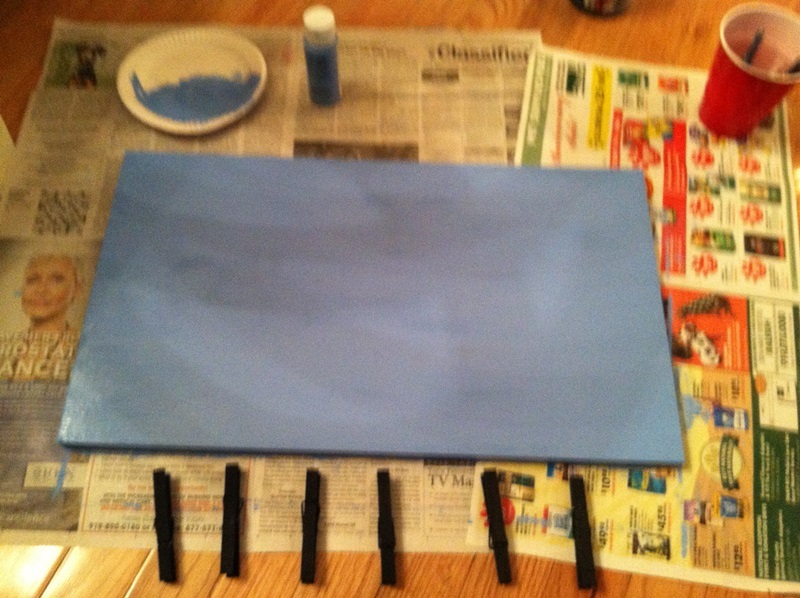 Paint the board and the clothes pins the colors of your choice. Print out the text, Hogwarts crest, and whatever else you want. Stick them on once the paint is dry. Decorate anything else you want to on there. Optional – Apply a coat of mod podge. Be careful; it caused part of my letters to start to peel. 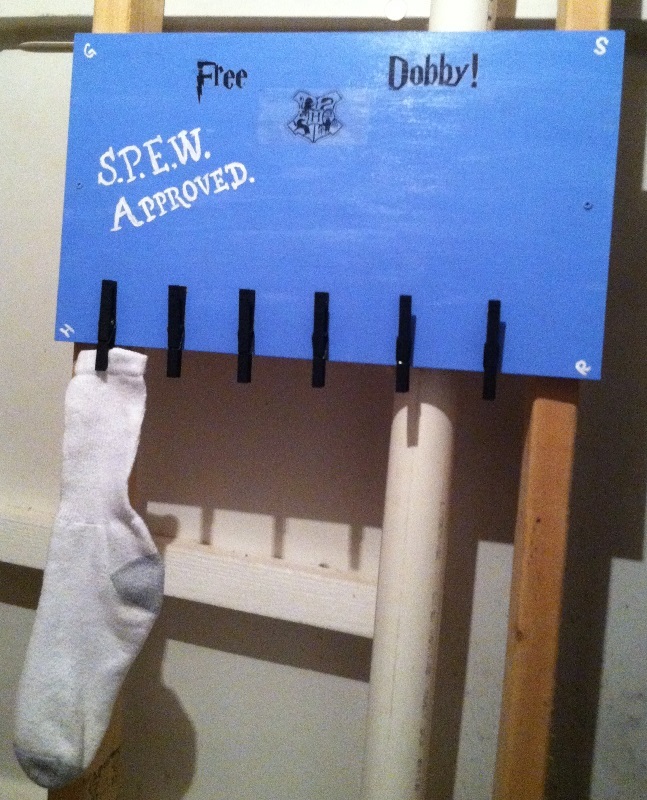 Glue the clothes pins on. 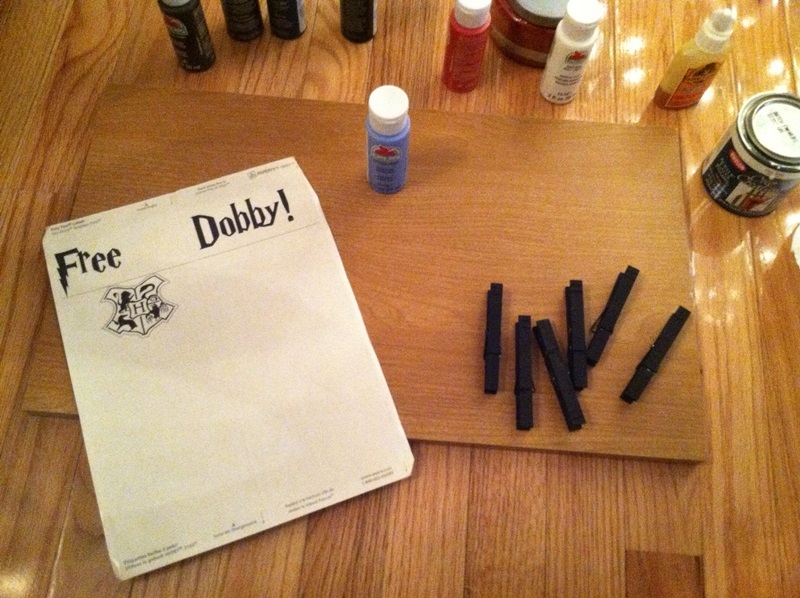 This entry was posted in Arts & Crafts, Harry Potter and tagged Free Dobby, Harry Potter, Harry Potter crafts, S.P.E.W.. Bookmark the permalink.